Portland, ME - The Eastern League is pleased to announce New Hampshire Fisher Cats catcher Max Pentecost has been selected as the Eastern League Player of the Month for the month of August. 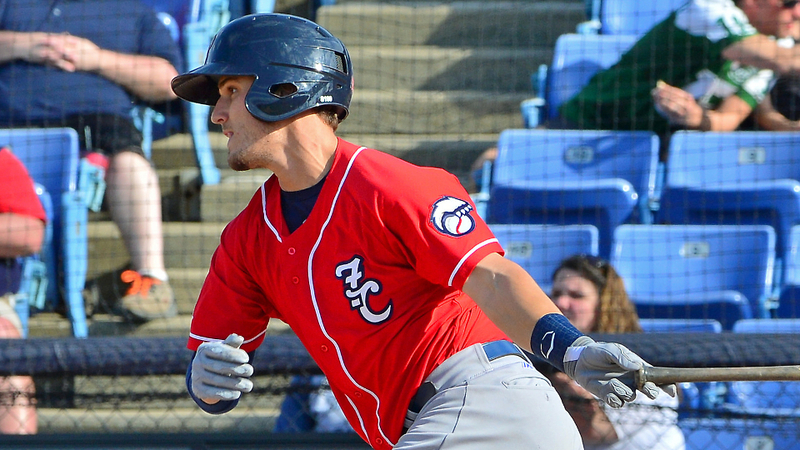 Pentecost hit .375 (30-for-80) with four doubles, six home runs, 22 RBIs, 16 runs scored, a .381 on-base percentage, and a .650 slugging percentage in 20 games for the Fisher Cats during the month. The 25-year old had at least one hit in 18 of the 20 games he played in during the month of August and had multiple hits in nine of those games, including going 3-for-5 with a home run, four RBIs and three runs scored in New Hampshire's 9-7 win over Binghamton at Northeast Delta Dental Stadium on August 25th. The 6'2", 191 lb. slugger led all Eastern League hitters in slugging percentage (.650) during the month of August. He also finished ranked among the monthly league leaders in batting average (.375-2nd), OPS (1.031-2nd), home runs (6-tied 4th), RBIs (22-tied 5th), and total bases (52-tied 9th). Pentecost, who is a native of Winder, Georgia, batted .253 with 10 homers, 52 RBIs, and 40 runs scored in 89 games this season while making his Double-A debut for the Fisher Cats. He also threw out 39.7-percent of would be base stealers, which ranked second in the league. Max was selected by the Toronto Blue Jays with the 11th overall pick of the 2014 draft after hitting .422 with nine homers and 61 RBIs during his junior season at Kennesaw State University.